February 18, 2019 - New Stock is ALMOST here! It's Pre-Christmas Chaos time here at the moment. Orders are flooding in - Thanks Everyone! Please be patient while we try to pack them all as quickly as possible. Meanwhile... new stock is arriving! Keep an eye on the website for new things. And the return of out-of-stock items you've been waiting for. Again, please be patient but I'll be emailing everyone in the next few days about back orders and pre-orders and what's available and what's already sold out. I've just updated all the stock on the website to include the new things arriving soon. Just add a few days to your expected delivery time and we'll start shipping as soon as it physically arrives. NEW DISNEY! Including Christopher Robin, Winnie the Pooh & Marie the Cat. Gorgeous! 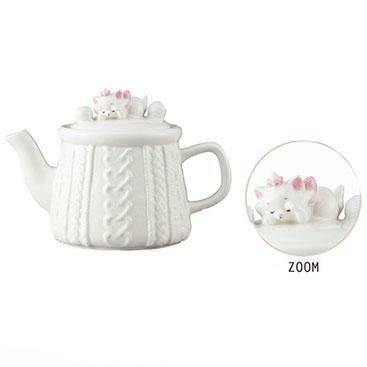 LF Tea Mugs are back! Limited stock is arriving next week so jump on these quick if you've been waiting. Spoons! New ceramic spoons are on their way. Give me a chance to photograph and they'll be on the website shortly.